The treats will certainly be flowing faster than the tricks Saturday in downtown Artesia, as Artesia MainStreet, Artesia Historical Museum and Art Center, Artesia Public Library, and Artesia Arts Council team up for their Fourth Annual Trick-or-Treat Main Street event. Ghouls and goblins of all ages will be able to spend the bulk of the day in the downtown district, gearing up for Halloween with a wide variety of activities, entertainment and, of course, candy. The festivities commence at 1 p.m., when the museum kicks off its Dia de los Muertos celebration. From 1-4 p.m., museum manager Nancy Dunn and Co. will help Artesians get in the spirit with traditional Day of the Dead refreshments and activities, ranging from sugar skull decorating to jewelry crafting to selfie stations. From 3-5 p.m., the party will move to Quay Avenue, where the Artesia Public Library will host their annual Halloween Fun. Free crafts and games will be available, along with a popcorn bar, where attendees can customize their tasty treats. At 5 p.m., Main Street from Seventh to Second streets and Fourth Street from Main to Quay will be blocked to traffic as the candypalooza begins. Businesses throughout downtown will be open and handing out candy to youngsters, who form a cafeteria line along the sidewalks of witches, wizards, superheroes, cartoon characters, and princesses that keeps on flowing for the duration of the two-hour event. 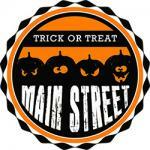 Fourth Street, meanwhile, will become a block part of sorts, with activities, games, photo ops, and a DJ on hand. “We’ll also have a fun, live dance performance that will take place right after the event starts at 5 p.m. on Fourth Street,” said Elisabeth Jackson, executive director of Artesia MainStreet. The play – which is family-friendly – will be presented at 7 p.m. today and 2 p.m. Saturday, as well, with tickets costing $10. They may be purchased online at www.artesiaartscouncil.com or at the Ocotillo Performing Arts Center box office, 746-4212. Those attending the 7 p.m. Saturday show in costume, meanwhile, will receive free admission. In between, Halloween revelers will want to stop by Heritage Walkway between 6 and 8:30 p.m. for the Boy Scouts’ annual Pumpkin Glow. Jack-o-lanterns in a wide variety of designs will be available for bidding, with proceeds benefiting the Boy Scouts. Admission to the event is $1 or a canned food item.